In the south-west of the Gers department, our ‘Gite Adour’ is in the area known as Val d’Adour, the valley of the Adour river. There is actually 2 main rivers the Adour and the Arros rivers. This region is near the Pyrenees and comprises of rolling hills and valleys. The towns and villages are full of character as are the friendly people. In this Gers region are located the vineyards of Saint Mont, Madiran and Pacherenc. The town of Marciac is important in Midi-Pyrénées because of the world famouse Jazz festival which attracts over 200,000 visitors during August. The Marciac Jazz festival has a relaxed atmosphere and is a great way to meet the big stars of the jazz world. 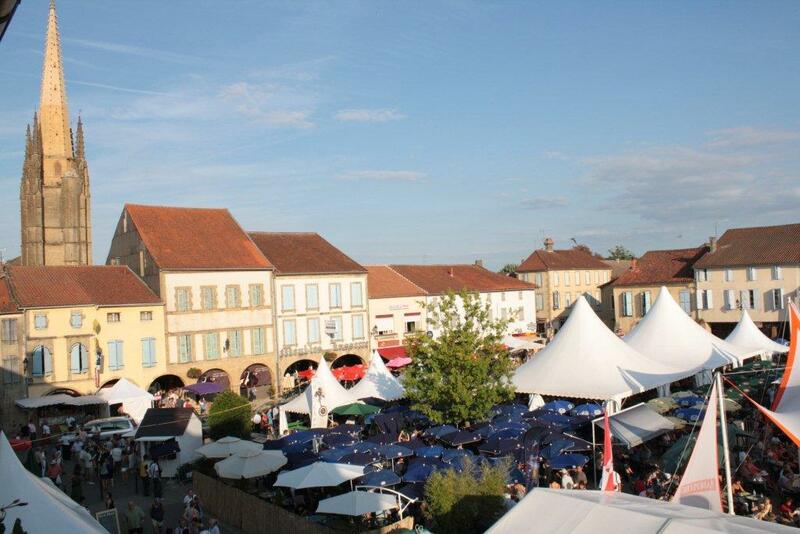 There is a museum of Jazz and numerous specialist shops and gourmet food places around the central square in Marciac. Near to Marciac is the historic town of Plaisance with plenty of shops, restaurants and walks. Then travelling along the banks of the Adour and Arros, you will find Villecomtal-sur-Arros, Laguian-Mazous, Izotges, Jû-Belloc, Galiax, Ladevèze-Rivière Ladevèze-Ville and Tasque. Along this route you can find fortified gates, towers, mills, Roman churches and medieval streets (especially in Tillac). There are also activities like fishing, kayaking and sunbathing on the beaches at the lakes of Marciac, Plaisance and Préchac-sur-Adour. Further north is the town of Aignan, the first capital of Armagnac. This former seat of the Biscay parliament now only reigns over the numerous vineyards of Armagnac and Saint-Mont. There are also numerous Gascon chateaux, chapels, mediaeval fortifications and charming villages. These are Castelnavet, Margouët Meymes and Pouydraguin. Also notable are Sabazan and Lupiac which is the birthplace of d’Artagnan. Termes d’Armagnac which is visible from our Gite, is now just one remaining tower of an ancient castle. This fortress, which guarded the Adour valley, nearby town of Riscle and the borders of Armagnac.